Ada pertanyaan untuk Veliy Hotel Mokhovaya Moscow? 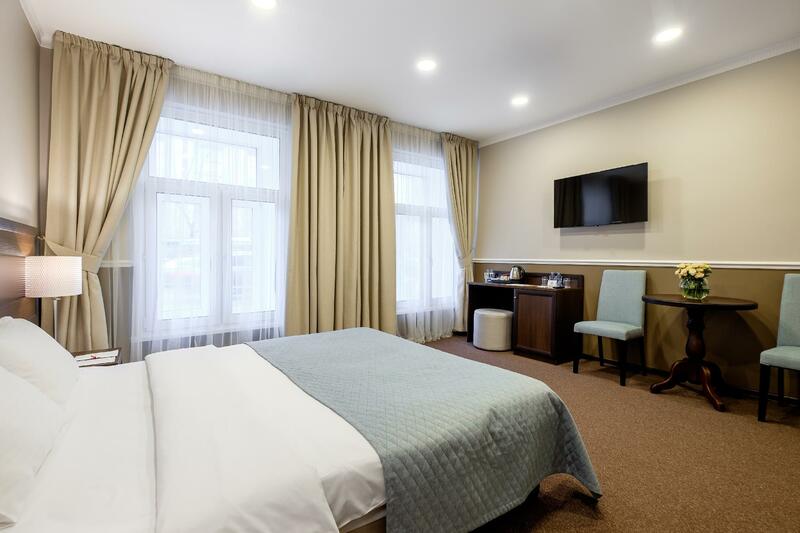 Terletak di pusat Tverskoy, Veliy Hotel Mokhovaya Moscow adalah tempat ideal untuk menelusuri Moskwa / Moskow. Hotel ini tidak terlalu jauh dari pusat kota, hanya 1.3 km dari sini dan umumnya hanya membutuhkan waktu 33 menit untuk mencapai bandara. Untuk pilihan lokasi jalan-jalan dan obyek wisata lokal, Anda tidak perlu pergi jauh-jauh karena hotel ini terletak dekat dengan Feofaniya Gallery, Dostoevsky Statue, Perpustakaan Negeri Rusia. Fasilitas dan pelayanan yang ditawarkan oleh Veliy Hotel Mokhovaya Moscow menjaminkan pengalaman menginap yang menyenangkan bagi para tamu. Para tamu hotel ini dapat menikmati fasilitas di tempat seperti layanan kamar 24 jam, WiFi gratis di semua kamar, resepsionis 24 jam, check-in/check-out cepat, penyimpanan barang. Akomodasi hotel telah dipilih secara cermat demi kenyamanan maksimal dengan adanya televisi layar datar, akses internet - WiFi, akses internet WiFi (gratis), kamar bebas asap rokok, AC di beberapa kamar. Disamping itu, hotel memiliki berbagai pilihan fasilitas rekreasi yang menjamin Anda melakukan bermacam hal selama menginap. Nikmati pelayanan tidak terbandingkan dan penginapan yang sungguh bergengsi di Veliy Hotel Mokhovaya Moscow. It's near to the Kremlin, few mins walk from the hotel. Also it is close to St. Basil's Cathedral and State Historical Museum, 15-20 mins walking distance. Very convenient for tourist. Our room is a bit small but clean and comfortable. Easy to walk to Red Square and Kremlin around 250 M. same way to local shopping mall where has food center and supermarket and many shops includeing KFC, Burger Kings. If walk more 150 M. will reach to GUM oldest shopping mall. Near to Metro Red line 150 M. and other lines too. Free drinking water (hot & cool) to fill up at ground floor anytime. Good to get 2 key cards. WIFI is work fine. Staff can speak ENG, can help about tourist information. Dear Sawaree, thank you for choosing VELIY HOTEL Mokhovaya Moscow and your feedback! We glad to see, that you appreciated your accommodation. We are happy to know that the location of the Hotel has pleased you. Special thanks for appreciating the staff of the Hotel. We work hard to create the atmosphere of coziness. We will be happy to welcome you back to VELIY HOTEL Mokhovaya Moscow! We were delighted to find that the hotel is right around the corner from the tourist entrance to the Kremlin. Plus there are four subway lines in the station across the street. But I think you do pay a premium for the location; our room cost almost as much as the real high-end hotels, like Metropole and the Radisson in the old 50s skyscraper, which would be more fun to stay in. I love this hotel, Everything that I need is here, No hassle for travelers, Highly recommended! The hotel probably less than 50m away from Kremlin so location is a good advantage. Surprised that the hotel also looks good inside and the staff is friendly. Dear Guest. Thank You for choosing VELIY HOTEL Mokhovaya Moscow for Your staying. We are happy to know that the location of the Hotel has pleased you. Special thanks for appreciating the staff of the Hotel. We work hard to create the atmosphere of coziness. Greatly appreciate for Your support and help in the creation the best service. 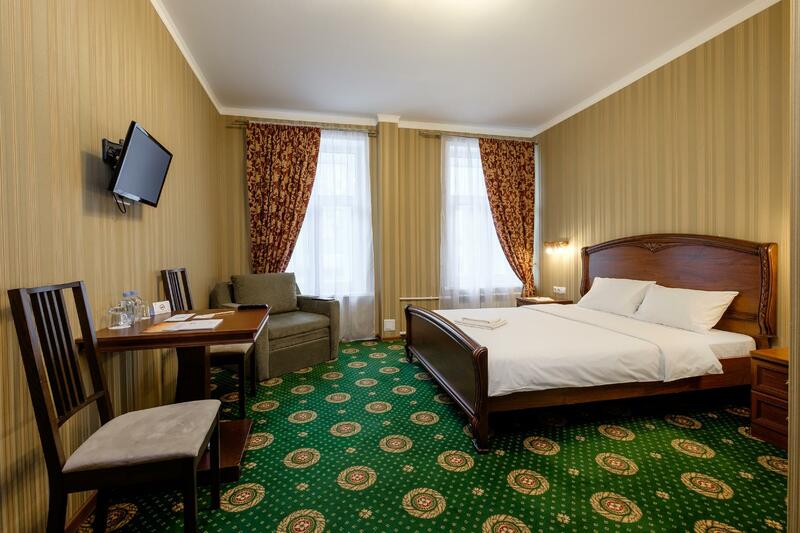 We will be happy to welcome You back to VELIY HOTEL Mokhovaya Moscow! Just 10 mins walk to the Red Square. Recommend not to stay on 1st floor in winter: no air con and need to open the windows. We feel unsecured. Dear Guests. Thank You for choosing VELIY HOTEL Mokhovaya Moscow for Your staying and feedback. We are happy to know that the location of the Hotel has pleased you. Recently we finished renovation of the restaurant cafe 1892 and we offer new breakfast format, which assortment rather bigger, than was earlier. We analyse all comments about breakfast, the quality of service and the restaurant area. We work hard to make our Guests happy and appreciate Your feedback! We will be happy to welcome You back to VELIY HOTEL Mokhovaya Moscow! Great hotel with an excellent location. We were there for the World Cup and it was superbly accessible. One and only downside was the extremely small TV. Dear Guests. Thank You for choosing VELIY HOTEL Mokhovaya Moscow for Your staying and feedback. We are happy to know that the location of the Hotel has pleased you. Soon we will finish to change TVs to new type. We work hard to make our Guests happy and appreciate Your opinion. Greatly appreciate for Your support and help in the creation the best service. We will be happy to welcome You back to VELIY HOTEL Mokhovaya Moscow! 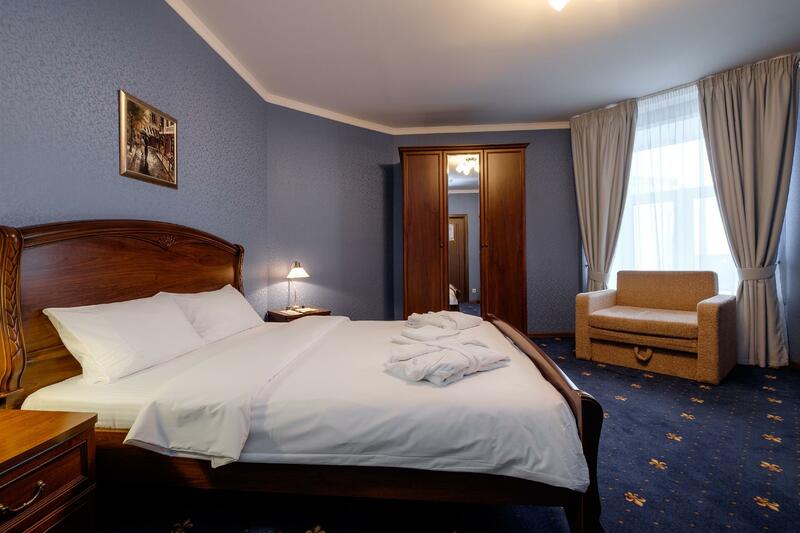 The location of this hotel is perfect, it is very near to Kremlin Entrance and Ticket office. there are service-mind staff and can speak English. The room has standard facility, however, unfortunately that got the room on 1st floor near lobby so we were disturbed by door shut/open voice for whole stay, it is very very annoying. One important thing, if you come to hotel with luggage by metro, make sure you go to the right exit. Otherwise, you have to carry your belonging, up and down on the stair. Veliy is situated in a great location (3-5minutes by foot to the Kremlin ticketing office or 10-15mins to the Red Square) and right next to a metro interchange (Biblioteka Imeni Lenina / Borovitskaya / Arbatskaya / Alexandrovsky Sad). We arrived via Biblioteka Imeni Lenina and it was a challenge trying to figure out how to get to the side of the road where Veliy was located, with our large luggages - you might want to check with the hotel on this if you have bulky suitcases with you and want to avoid the stairs. If not, just take Uber from the Railway station (assuming you are taking the Aeroexpress from airport) to hotel. Overall the property is great for travellers with a tight schedule and want to cover the main places of interests in the shortest time possible. The Standard Double Room was rather small but adequate. Would suggest to go for the Comfort Double Room with costs a little more but is much bigger. Depending on where your room faces, it can be a little noisy but it didn't affect us. Also, some reviews mentioned that there's no elevator. Pleased to note that there is an elevator so no problem requesting for the highest floor (4F). 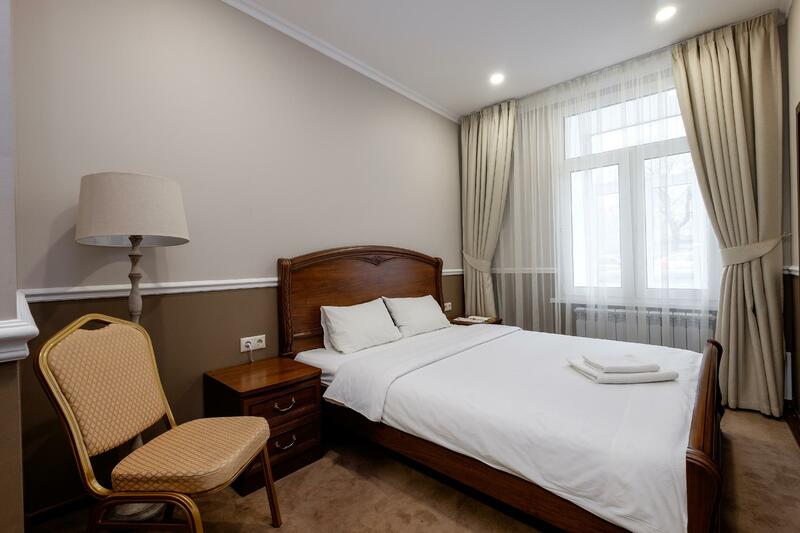 This hotel is located very close to red square and metro train, you can take 5 minute walk from the hotel, there is a traditional restaurant nearby (1 minute walk) the food is very fantastic, 10 minute walk to a supermarket if you want more water or food or snack. The hotel is nice, clean, the room is quite small but it's okay for 2 people. I would stay to this hotel again for my next trip. The location is absolutely perfect! The breakfast is the same but good enough. The room was not spacious, but at least the bed was big and comfortable and the bathroom was clean and spacious. The staff was amazing. Helpful, smiling, can speak good english. Seamless check in and out. Cons: just 2 pillows. I was with my mother, so that makes 1 pillow per person. Stayed here for 3 nights while visiting Moscow. Great location, clean spacious rooms, helpful and friendly staff. Hope to be returning to Moscow later in the year and will certainly be booking at the Veliy again! I arrived at the late night, and the staff at the hotel are very kind and helpful. The hotel stands at the very great location. It is close to Red Square and the metro is just few steps away. What I love most is the security system of the hotel. We were happily surprised at how near the hotel was to the Kremlin - just a short walk away through the very pretty Alexander Gardens. Our room was large and comfortable, and the double glazing meant we had very peaceful nights despite the building's location on a busy road. We had not booked a room with breakfast, and although we did have breakfast one morning, and although is was pleasant enough, it did seem a bit expensive and we found other nearby cafes and restaurants on other days. All in all a very nice stay and we would stay here again. Highly recomended hotel, with a pleasent staff and great atmosphere. The hotel is recently renovated, however please take into account that since it sits in a building marked for preservation, it does NOT have an elevator NOR a phone in the room. We got our AC malfunctioning at 11PM on the first day and after addressing the staff we were upgraded to a deluxe room for free on the spot. Thank you! Use Google maps to find the location, the hotel is marked with a flag avove the entrance door. Nearest for Klemrin and red square. Friendly and good English reception. Best price. But I suggest you to search location for hotel before the day you check in.Because in website that isn't present and you will take much time for find this hotel among cold weather.I suggest you find with google map by street view only.And you must remember this hotel is between 10 lane and 12 lane.The door is on main street side and have horn-button beside door that you must push them for reception open door for you (24 hours service reception).And this hotel has boil water free service for you at beside reception desk so you can bring your country can food or noodle to eat at hotel.Lastly I love this hotel.Sorry for my bad English.